We've been decking the halls all around here and we just had a blast pulling out all our old favorite Christmas decorations this past black Friday (we waited until the day after Thanksgiving this year to decorate) as well as some new decor from The Oriental Trading Company to add to our holiday favorites. I'm wrapping our Christmas gifts pinterest style this year, something I've always wanted to do and I couldn't be happier with how they're looking so far! 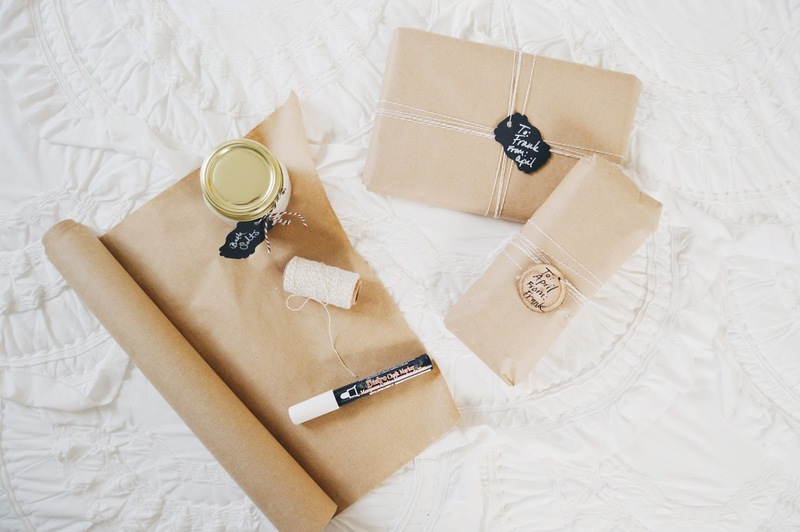 I've been using kraft brown paper, and spied this Kraft Paper Roll over on The Oriental Trading Company's website and instantly knew it was the perfect wrapping paper for our gifts. I've paired it with this Gold Baker’s Twine and I'm just loving the rustic yet classic look, simple but glam. Perfection. 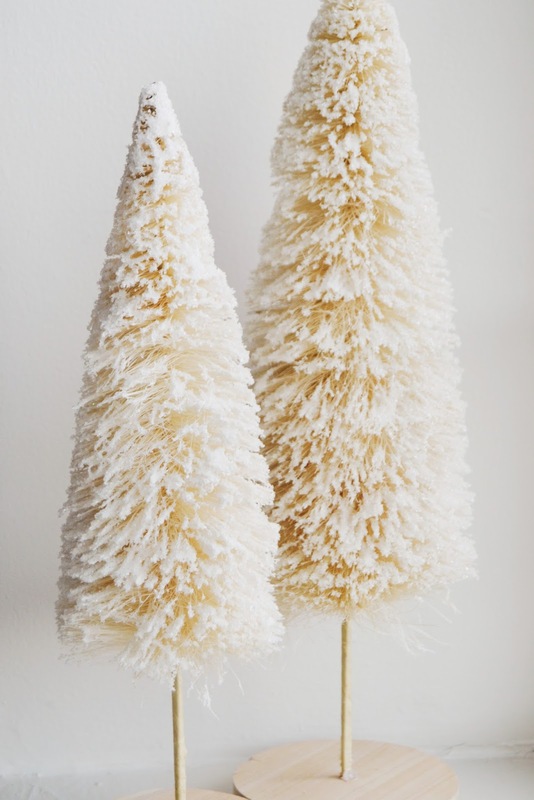 A couple items I snagged for our master bedroom are these Large Christmas Sisal Trees. I love the look of sisal trees, so nostalgic and old fashioned and the color is so different than a lot of sisal (bottle brush) trees I've seen. The neutral cream color goes so great in our bedroom since almost everything in our room is white or cream. We're also loving this Glitter Joy Light-Up Sign! Simple and white, sparkly and lights up, one of my favorite words. What's more to love? I feel like this is a piece that could be left up a lot of the year and it's just so cute. This Marvy® White Bistro Chalk Markers has been such a fun little item to have around lately. Drawing snowflakes and ornaments on our windows and mirrors. We can even use this chalk marker on our chalkboard in our dining room and Bella can use it on her traceable alphabet and number chalkboards. Another fun use for this marker is Christmas gift wrap decorating! I recently used it to make little dots which looked like falling snow on kraft brown paper after wrapping a gift and have also used it to label black gift tags on our gifts this year. Lastly, this Vintage Christmas Table Topper is my absolute favorite I think. 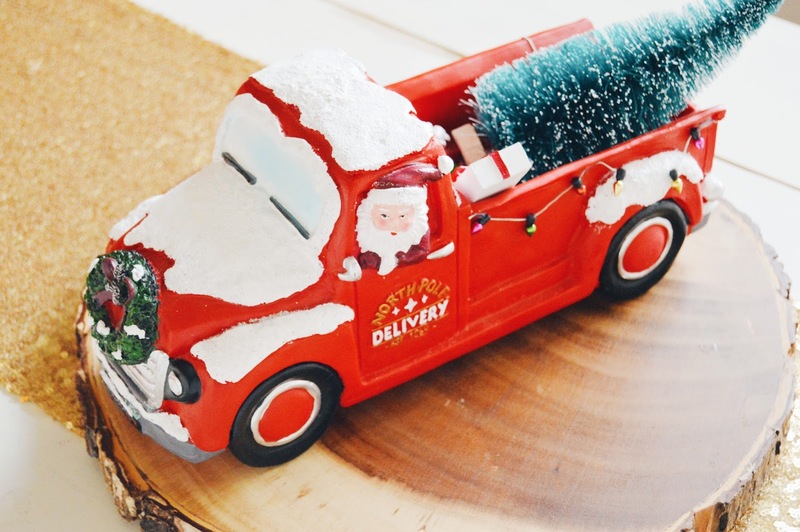 You all know my obsession with all things farmhouse style, and what's more farmhouse style than an old red truck at Christmastime? 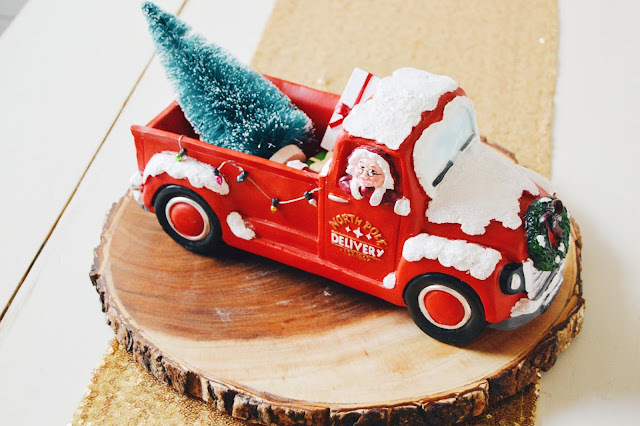 This sweet little truck is cute on a table or anywhere else you'd like to keep it, and I just love adorable little Mrs. Clause peaking out of the window (Santa is over on the other side if you turn the truck around) and the removable little gifts and bottle brush tree in the back are almost too cute to deal with. If you still need Christmas decor make sure to grab some of these pretty pieces while they're still available!